HICS Compliant Patient Accountability from DMS. 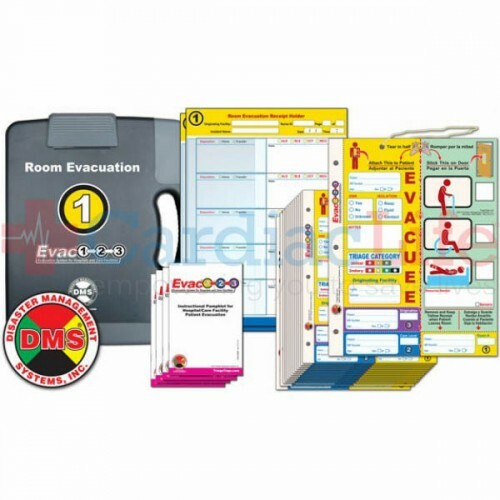 Component 1 of the 3 component Evac123® Hospital Evacuation System is Room Evacuation. The Evac123™ System was developed by Disaster Management Systems in close coordination with hospital care professionals in an effort to simplify patient tracking from hospital to destination. 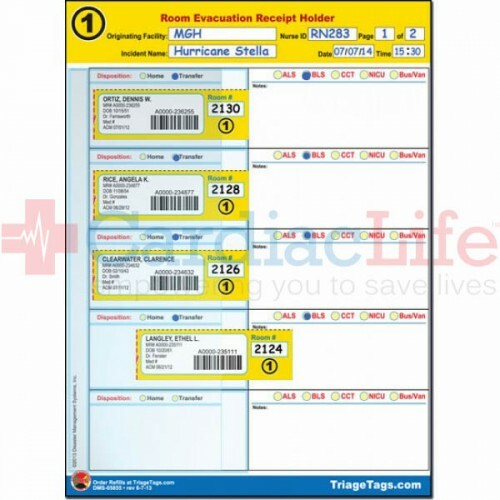 This new system seamlessly integrates with your hospital’s existing patient record system by utilizing your hospital’s standard pre-printed patient labels (2 5/8" x 1" - Avery 8160 or equivalent). 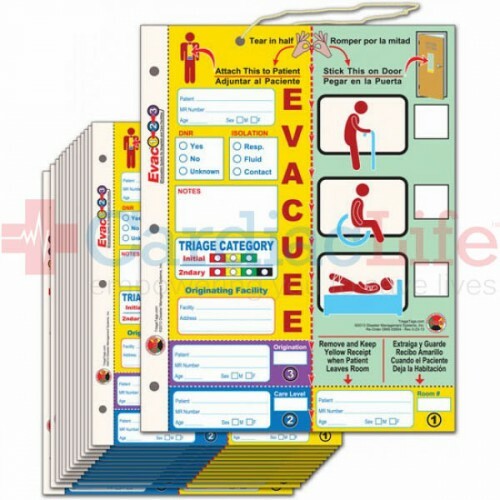 Evac123® was designed as a modular system, fully scalable to work with any size hospital. 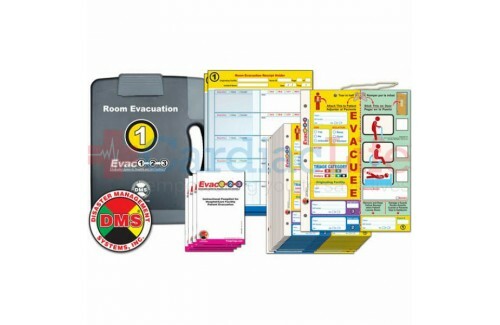 The DMS-05880 Room Evacuation Kit comes with enough evacuation tags and receipt holders to track evacuation of 20 patients. DMS-05418 TrakBAND Reflective STOP Sign 18" x 24"
DMS-05419 TrakBAND Reflective STOP Sign 12" x 18"